The wag54g comes in a standard linksys case, the same as the rest of the linksys line, which are nicely stackable, if you have more than one item. To see how to take the case apart check read these Instructions. The first step is to get the front of the case off. 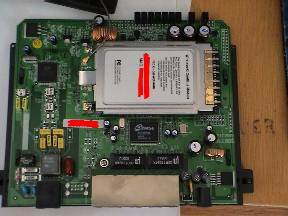 Which shows that like most wireless kit, it is just a pcmcia card attached to a base board. 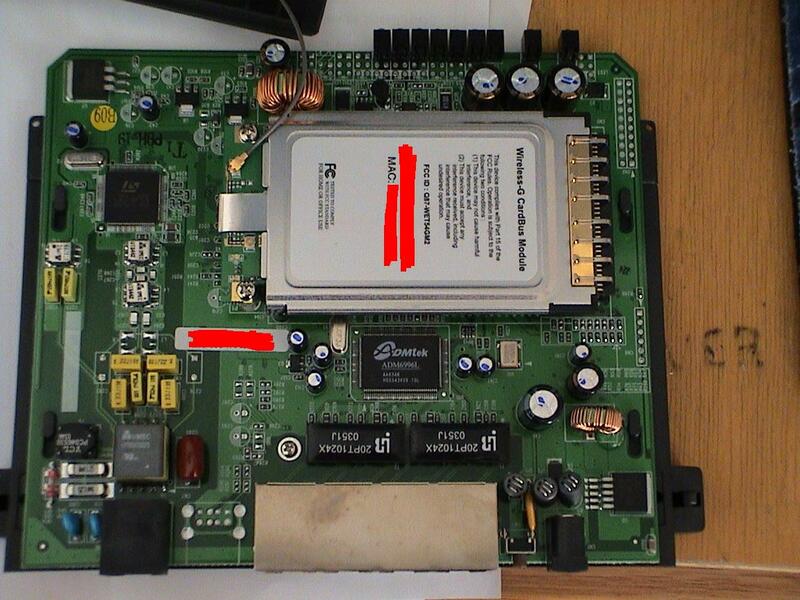 The LEDs at the top of the picture are at the front of the case, with the rear power/adsl sockets at the bottom of the picture. 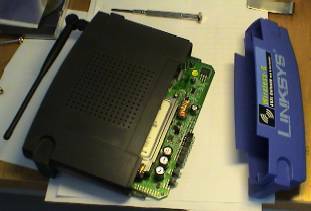 And now with the pcmcia card removed. 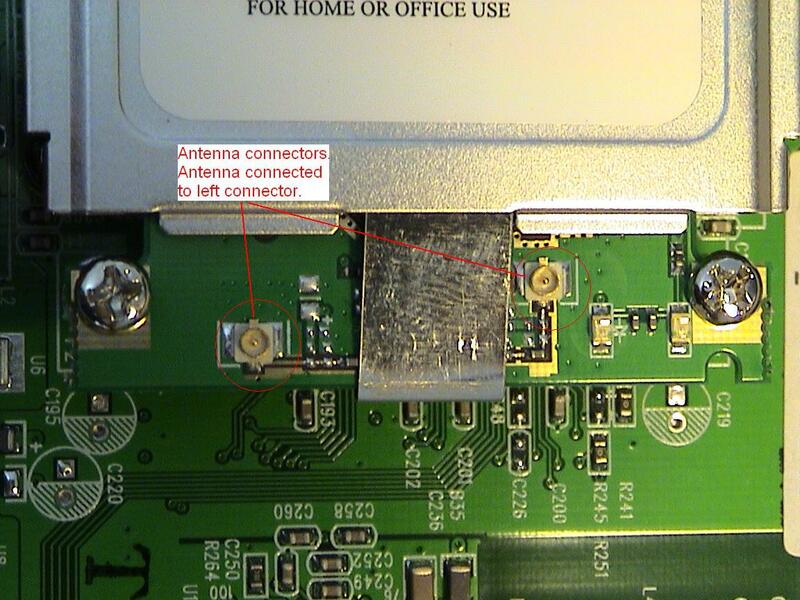 The external antenna is attached to the pcmcia card with a simple push on connector. 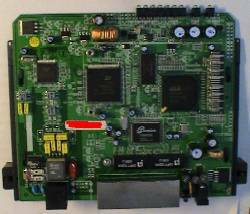 As with many wireless cards there are two antenna connectors. 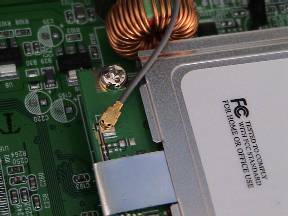 usually one transmits and receives, while the other just receives, acting as a diversity antenna to improve reception. 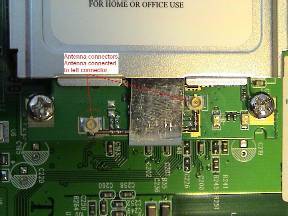 Some access points connect both points to external antenna, others connect the transmit/receive to an external antenna, and the diversity one to a small internal antenna. 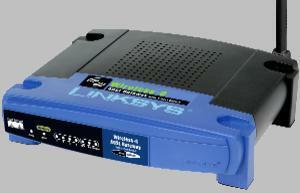 This linksys does not appear to use the diversity antenna point at all. As with other linksys wireless kit, the wag54g has a magnets on the antenna cable. Some of the above images are clickable to open larger pictures, showing more detail.